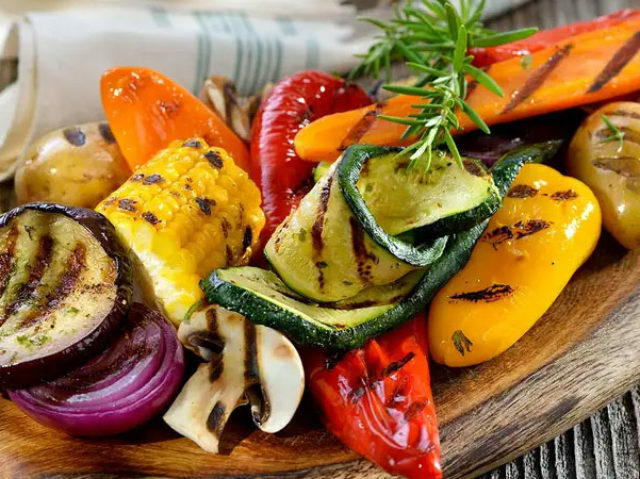 If you’re a vegetarian who’s serious about strength training, you need to know how to optimize your diet to get the best results. 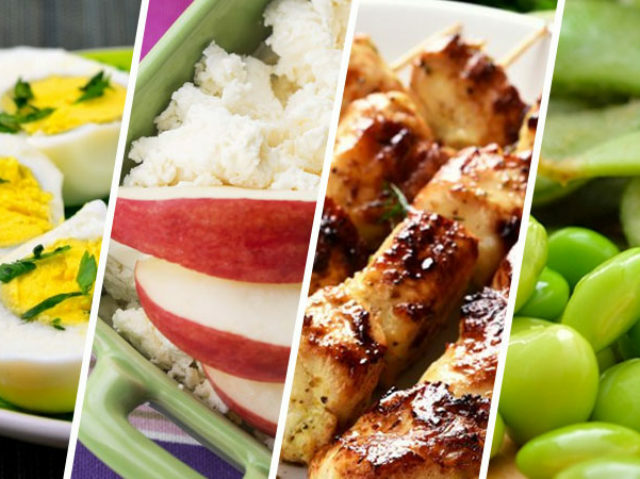 Check out our guide to protein-rich foods to help you on your way – a completely new fitness level is just around the corner. 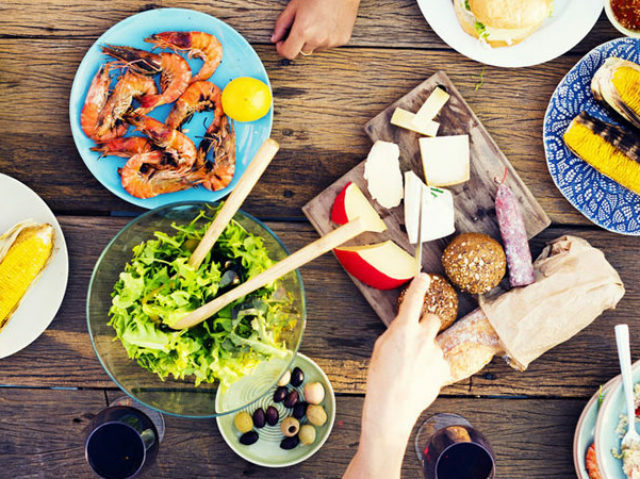 More and more people are switching to a vegetarian diet. They’re moving away from animal products to focus on a nutrient-rich, plant-based way of eating. Everything we need comes from nature. 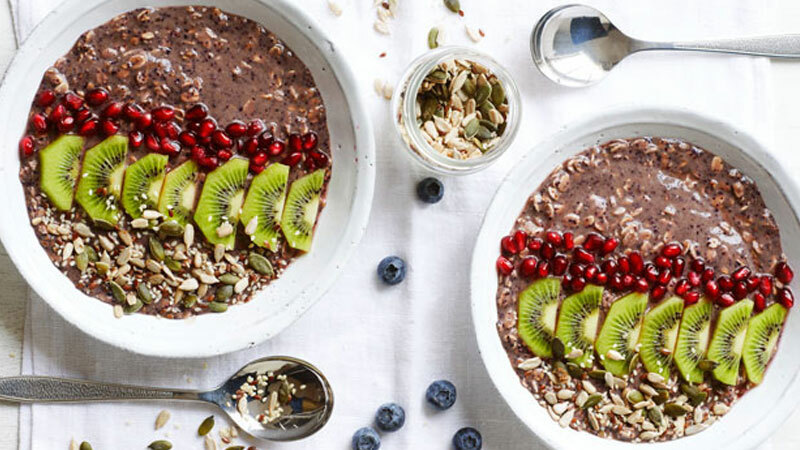 The plant-foods that offer you the energy and nutrients you need to remain healthy and lean, also provide the protein you need to build muscle and develop a high-performance physique. 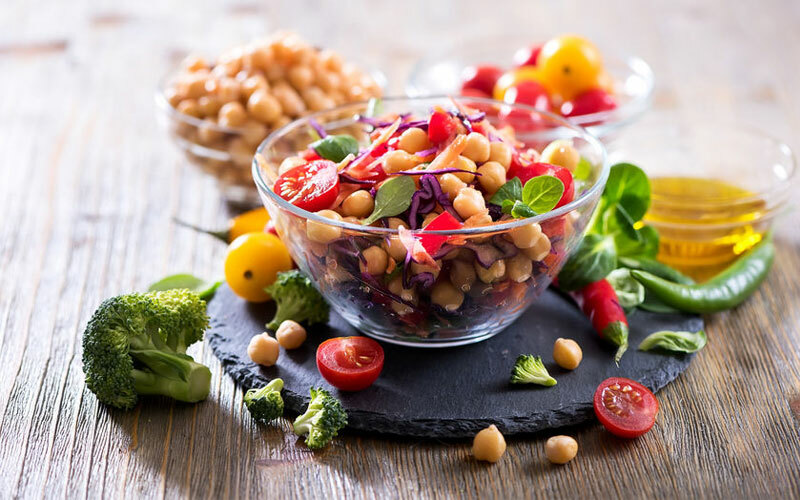 In this article we’re channeling plant power and discussing how to maximize protein intake as a vegetarian, helping you get the most from your diet… and your physique. As an essential nitrogenous compound, protein is a source of fuel for the human body. It provides 4 kcal of energy per gram. If you look at protein under a microscope, you’ll see that it’s made up of polymers. These are groups of amino acids held together by peptide bonds. During digestion, your body releases various chemicals to free these amino acids up so that you can use them. It’s not that protein per se is important in your diet… it’s that protein is the best source of amino acids. And these are really important. Protein provides the amino acids your body relies on to ensure optimal health and function. These building blocks are everything that is you – from your muscles and arteries, to your nails, skin and eyelashes. Essential: these can only be obtained through food. There are 9 of them altogether. Non-essential: there are 11 amino acids that your body can bio-synthesize itself if it has to. While it prefers to get them from food, the body can manufacture them if it must. In order to promote overall health, improve physique and develop good athleticism, all amino acids are needed on a regular basis. 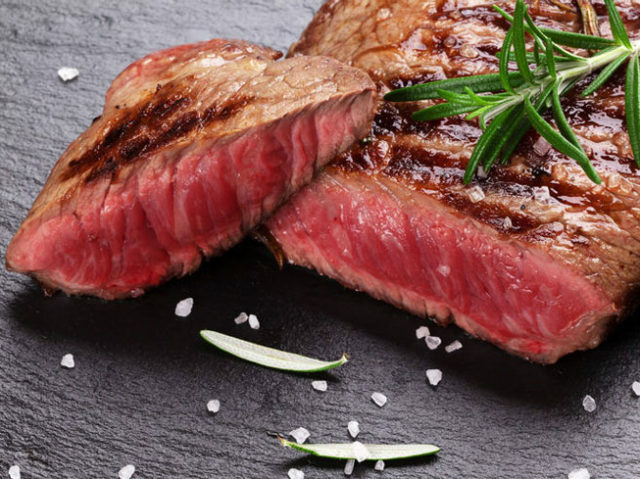 The quality of protein in food is measured in two ways – amino acid content and digestibility. If a food contains all 9 essential amino acids, it’s classed as a ‘complete’ protein. If it has one or more missing, it’s ‘incomplete’. Having a diet rich in complete protein is key for performance and health. Athletes, bodybuilders and fitness models all strive to get complete proteins in their diet – to optimize protein intake and give them the best results possible. Good sources of complete proteins do include animal foods. Meat, fish and dairy all provide the 9 essential amino acids. But there are many plant-based foods that provide complete protein too. These make up the bulk of our list. The Protein Digestibility-Corrected Amino Acid Score (PDCAAS) is a measure of how bioavailable your protein food is. It determines protein quality rather than quantity. The PDCAAS looks at not just the number of amino acids in food, but also how much your body takes into its cells after digestion. If more is lost, the score is lower. The highest score on the PDCAAS is 1.0. This means after digestion; the food provides 100% or more of the amino acids required. There are a surprising number of vegetarian food sources that rate high on the PDCAAS scale. Are incomplete proteins a waste of time? Not at all… and this is important for you to know as a vegetarian. Combining incomplete proteins is a useful tool in your muscle-building arsenal. Some incomplete proteins also come up pretty high on the PDCAAS scale too. If you mix grains with legumes for example, you get all of your essential amino. The same with seitan and soy. The government protein recommendation of 0.8 grams per kilogram is far too low to optimize muscle gains. Remember, these guidelines aren’t designed for athletic performance – they’re designed as a minimum guideline to avoid deficiency. 0.8 g is the absolute lowest you’ll get away with and not suffer ill health. So, what does the research suggest for building muscle and enhancing performance? According to Professor Stuart Philips, Adjunct Professor in the School of Medicine at McMaster University, athletes should strive to achieve 1.3-1.8 grams of protein per kilogram of body weight . 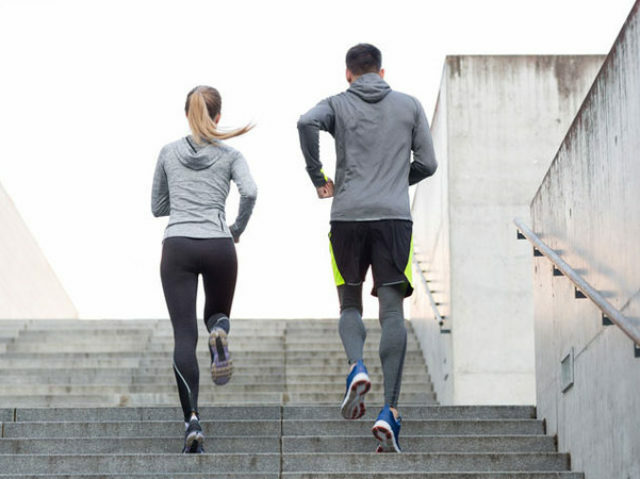 This amount fuels muscle cells and helps them recover after exercise. It also helps you maintain ‘net positive protein synthesis’ – a key factor in growing muscle. If fat loss is your goal, protein intakes of 1.8-2.0 g per kg also help to boost metabolic rate and regulate appetite too – perfect if you’re working on getting leaner and want to preserve muscle shape. Key Point: Aim for 1.3-1.8 grams of protein per kilogram to boost muscle mass and lose excess body fat. More if you’re losing fat and in a calorie deficit. All the following vegetarian sources have a protein content higher than 7% – that’s a nice hit of proteogenic goodness. They also score high on the PDCAAS too. This East Asian legume is high in protein and has a PDCAAS of 0.91 (with soy protein powder coming in at 1.0). 100 g of soybeans provide 23 g of protein. Edamame are soybeans that have been harvested while still green. They’re sweet tasting and go great in salads. 1/2 a cup of these vibrantly-colored beans gives you 8.5 g of protein. Tempeh originated in Indonesia and is made by fermentation of soy until it forms a kind of ‘cake’. It has an earthy taste and a firm texture. 1/2 cup provides 15 g of protein. Tofu is referred to as soybean curd. It’s low in sodium and high in water-soluble vitamins, calcium and iron. 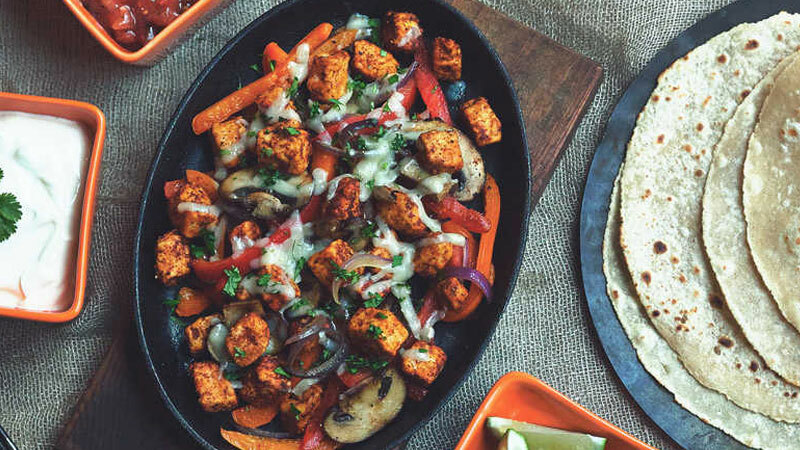 You get 10 g of protein per 1/2 cup of tofu, and because of its texture, tofu absorbs flavors from other cooking ingredients too. It’s perfect with marinades and spices. 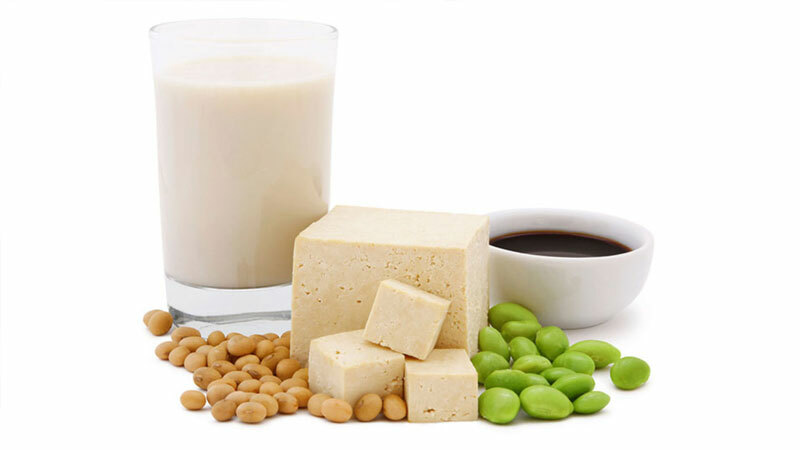 Soy products contain all essential amino acids, making it a great vegetarian protein-rich food. Originally created to help with global food shortages, mycoprotein is made from cultivating fungus in large vats. Formed from single-cell protein, mycoprotein is one of the best sources of amino acids in the world. It’s high in fiber, low in cholesterol and provides 13 g of protein per 1/3 cup. Mycoprotein has an impressive PDCAAS of 0.99. Mycoprotein is grown using glucose syrup to ‘feed’ the fungus. Once supplied with oxygen and fermented, you’re left with a food similar in taste and texture to mushroom. Foods made from mycoprotein include burgers, sausages, mince and nuggets. It’s very much sold as a meat substitute. Seitan is a high protein food made by combining wheat gluten with various spices. Wheat flour dough is washed until all starch has been removed. The sticky gluten that’s left is then shaped and cooked. 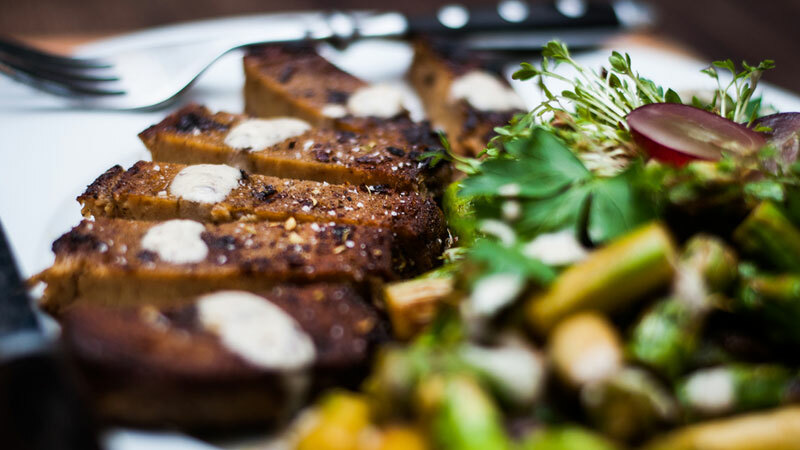 Because of taste and texture, seitan is often sold as a meat substitute. 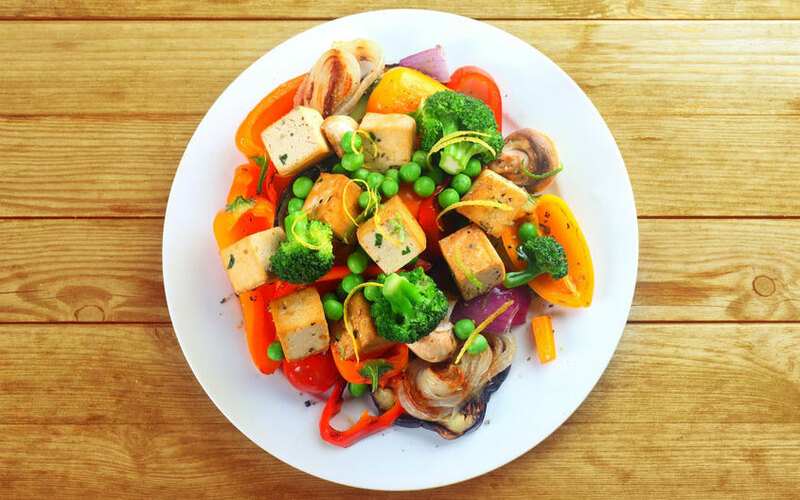 Seitan provides 25 g of protein per 1/2 cup but has a relatively low PDCAAS of 0.25. It’s worth noting that some seitan is low in the essential amino acid lysine. However, combining it with soy sauce (which is high in lysine) helps to make it a complete protein. Although it’s low carb, those with gluten intolerance need to avoid it. This flowering plant is one of only a few plant-based complete protein sources. The seeds are oval-shaped and pale yellow in color, with a grain-like texture and nutty flavor. 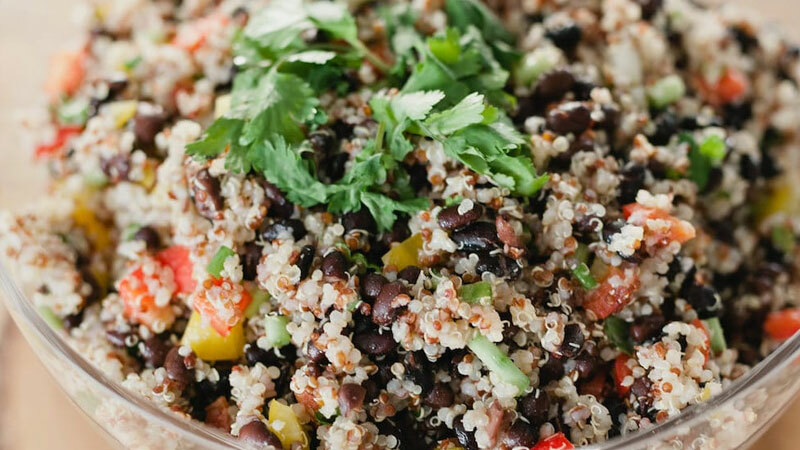 Quinoa offers up a modest 8 g of protein per cup. It also provides magnesium, iron, manganese and a range of other important minerals, making it a great all-rounder for health and performance nutrition. As a versatile side dish, quinoa is often used in soups, stews, salads and even popcorn. Because of its popularity as a protein-rich vegetarian food, 2013 became known as the ‘International Year of Quinoa’. Green peas are a great source of nutrition. They’re high in fiber, low in fat, and provide multi-vitamin nutrition in the form of vitamin A, C and B-6. 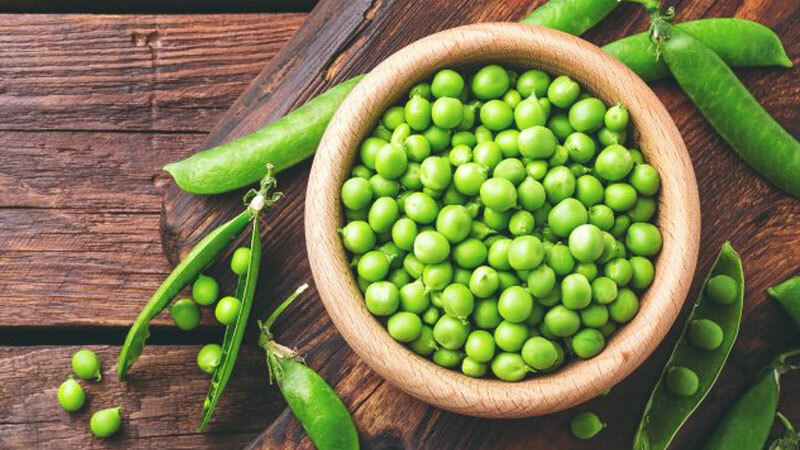 The unique phytonutrient composition of peas means you also receive lutein and zeaxanthin too – both known to promote eye health. 100 g of peas provides 5 g of protein and a PDCAAS of 0.7. Pea protein supplements, however, give you a PDCAAS of 0.983 and a much higher protein content. They provide an easily-accessible source of protein that’s not only high-quality but suitable for vegetarians too. 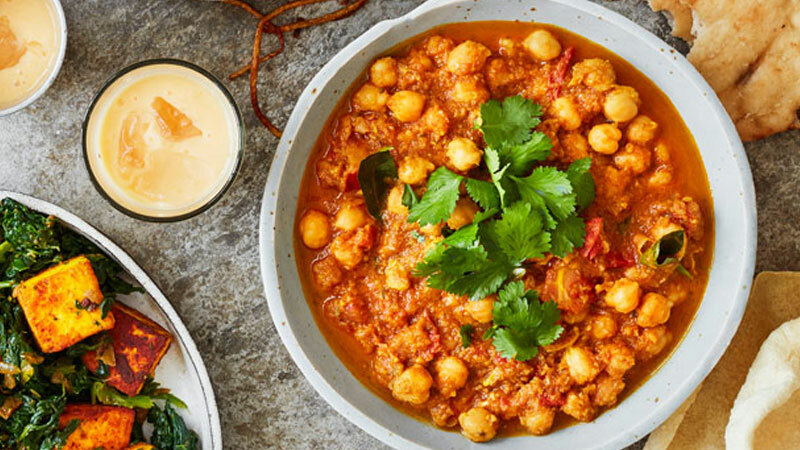 …and of course, chickpeas are used to make hummus too – a great health food that’s high in protein. Otherwise known as garbanzo beans, chickpeas are small, round and most commonly a yellowy color – although you can get them in green, black and brown too. A cooked cup of chickpeas provides 14.5 g of protein, 12.5 g of fiber and less than 5 g of fat. They’re high in vitamins A and K, as well as calcium, magnesium, zinc and folate. Chickpeas have a PDCAAS of 7.8 – the same as edamame beans. Spirulina is a blue-green colored algae known as cyanobacteria. It provides a huge hit of nutrition – iron, manganese, magnesium, vitamin B and C, and fatty acids (EPA and DHA) are all found in substantial amounts. That’s an awesome amount for a vegetarian-friendly food. Don’t get too excited though – spirulina unfortunately contains less essential amino acids than poultry. It also has a low PDCAAS too. 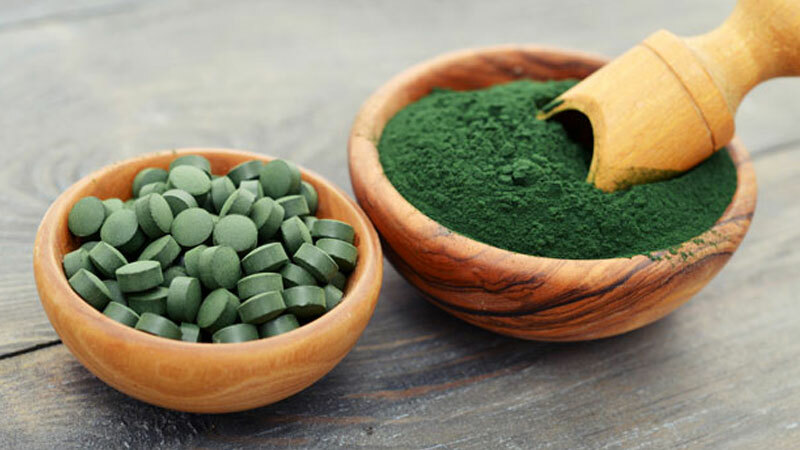 You can get spirulina as a wholefood or dried as a supplement. You just add it to water or smoothies to unlock its nutritious power. Otherwise known as turtle beans, the black bean is a favorite of Latin, Cajun and Creole cuisine. A good source of folate, magnesium, phosphorous and zinc, black beans provide a high-fiber, low-fat source of protein – 21 g per 100 g. The PDCAAS is 0.75. 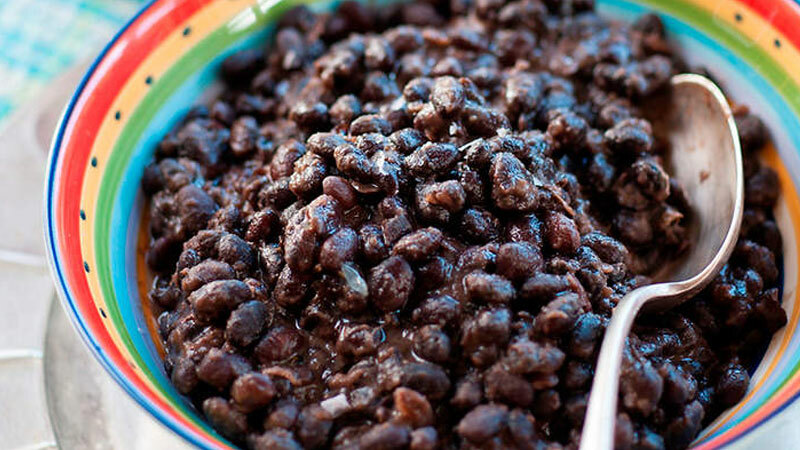 Black beans are well known for their cholesterol-lowering ability. They contain a high amount of resistant starch which helps to improve digestion too. Pop them in burritos, vegetarian one pots, chili and casseroles to up your daily protein intake. You can also buy burgers and even pasta made from black beans too. 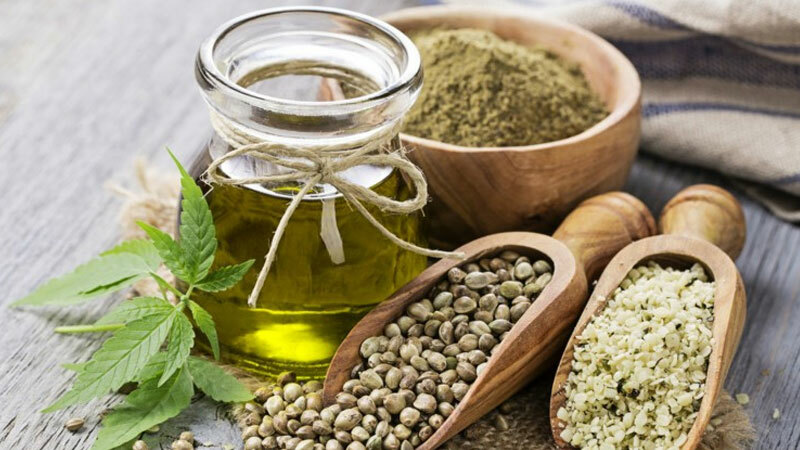 Hemp comes from the cannabis sativa plant and provides a potent source of nutrition – like flax seed for example. It doesn’t contain psychoactive compounds though, so don’t worry about getting ‘high’ from it. 100 g of hemp seeds saturated your muscles with a huge 31 g of complete protein. That’s similar to beef and lamb meat. You also get omega-3 and omega-6 fatty acids as well as a bunch of micronutrients – iron, magnesium, zinc and copper to name just a few. Hemp seeds are easy to cook with. Just add them to stir-fries, vegetarian-friendly Alfredo sauce, banana muffins or granola for some added bite. You can’t beat the good old lentil. Available in a range of colors and varieties – from Puy and Beluga to yellow and French green. Lentils are a staple food for vegetarians, providing fiber, protein and other important nutrients – potassium, iron and vitamin B-6 for example. 100 g of lentils gives you 9 g of protein, with a PDCAAS of 0.84. 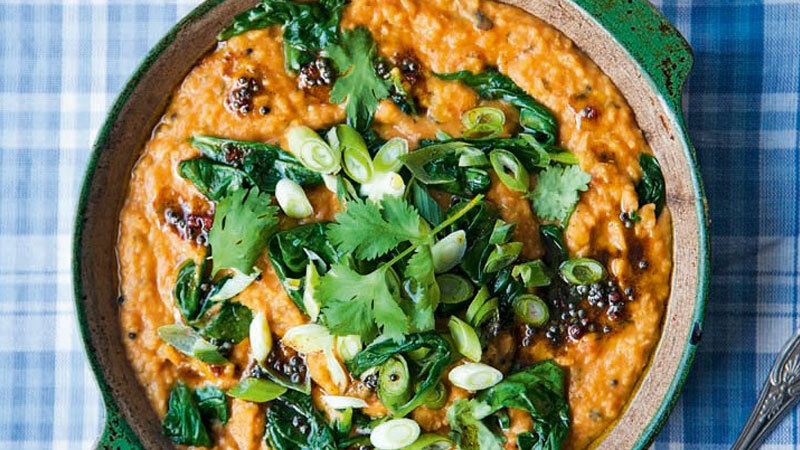 Lentils are extremely versatile. The firm and creamy texture coupled with an earthy flavor make them perfect for winter soups, tabbouleh and curries. More and more people are turning to a vegetarian diet to keep healthy, get lean and boost fitness. These protein-rich foods will help you build muscle and keep fat to a minimum as you cruise to your greatest physique yet.